The lovely people at Hi-PRO Nutrition said possibly the best words anyone could ever say to me…. ‘Do you want to try our new high-protein peanut butter?’. Various phrases involving bears and woods came to mind but in essence I said yes and eagerly awaited my delivery. 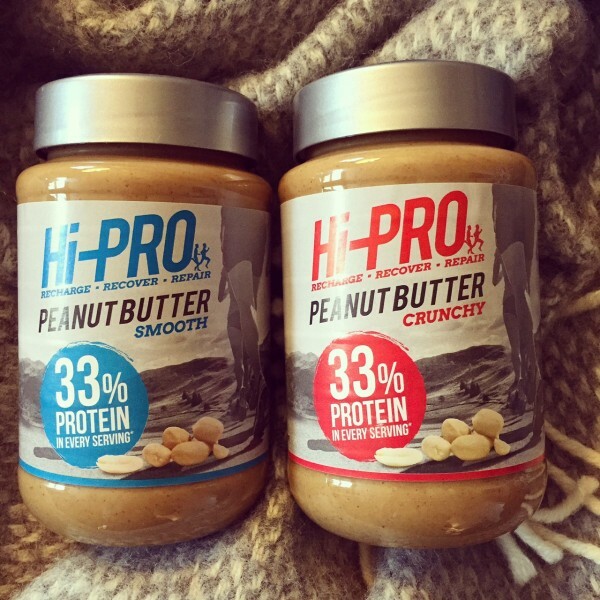 There are plenty of protein nut butters out there on the market but what marks Hi-PRO out as different is that the extra protein in there comes from peanut flour and whole peanuts rather than added whey which means the taste is entirely peanuts. I’m not a fan of the flavoured nut butters either really because I just like the taste of the roasted nuts too much. Hi-PRO is 33% protein providing 5.1g of protein per serving of 15g along with 7.4g of fat and 0.9g of carbs. Compared to other products on the market the protein is 1g higher and the carbs are 1g lower per serving making it perfect for people who are following a high-protein diet. Every gram counts people! 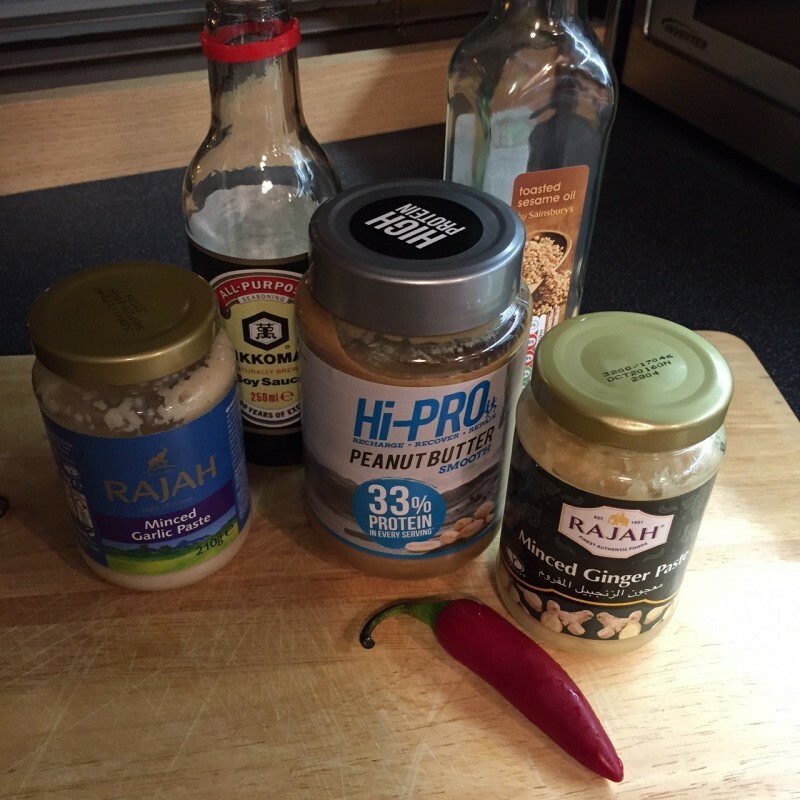 Seeing as I’m eating an awful lot of protein at the moment in a quest to build up my baby muscles this is music to my ears but rather than just spread it on toast (or eat it out of the jar with a spoon, who am I kidding…) I wanted to create something savoury with it. Cue my favourite dish, chicken satay. 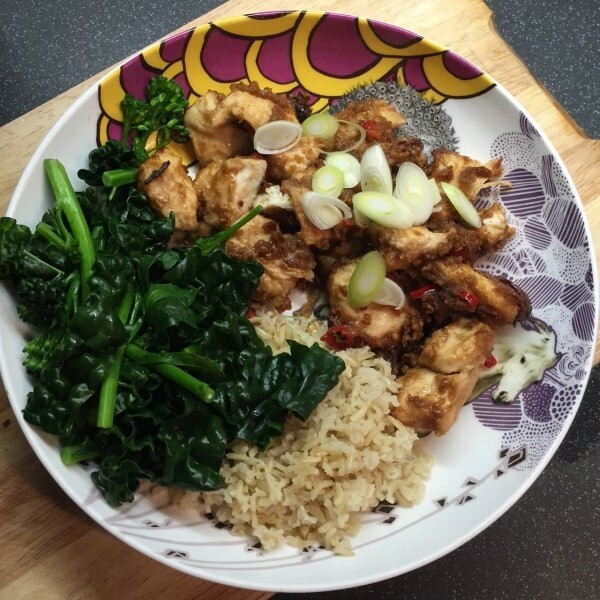 It’s a really simple recipe, can be on the table within 20 minutes of starting cooking and packs a hefty protein punch. Oh and it’s totally tasty. What more could you want? If you want to find out more head over to the Hi-PRO website or check them out on Facebook, Twitter or Instagram. In an oven-proof dish combine all of the ingredients apart from the chicken until it forms a paste. Pre-heat your oven to 180 degrees. Add the chicken, cover with the marinade, leave in fridge for 15 minutes to soak up the flavours. Put chicken in oven for 15-20 minutes. When the chicken is piping hot all the way through and not pink inside your dinner is ready!